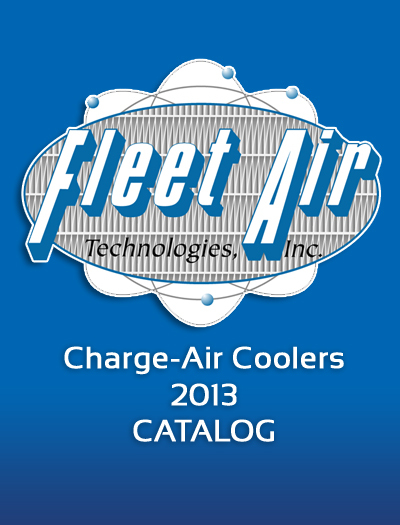 Welcome to Fleet Air Technologies, Inc.
We service the transportation industry in charge-air coolers, radiators, ac condensers, oil coolers and heat exchangers. Our primary business is re-manufacturing charge air coolers. 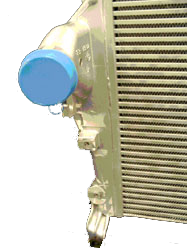 Our technology in re-manufacturing charge-air-coolers not only stops air leaks and extends the life of the heat exchanger, but also is very critical in improving vehicle fuel economy. To provide a complete package, we also supply charge-air-cooler accessories such as hoses, clamps, and grommets. Because of the rising price of fuel, there is an ever-increasing importance on maximizing vehicle fuel economy. We also see a tremendous lack of knowledge within the transportation industry regarding charge-air-coolers. Because of this, we have devoted many areas of this site to providing technical information in order to help those better understand this very important component. In addition to obtaining information about our products and services, please take time to review our technical sections for some very important information.